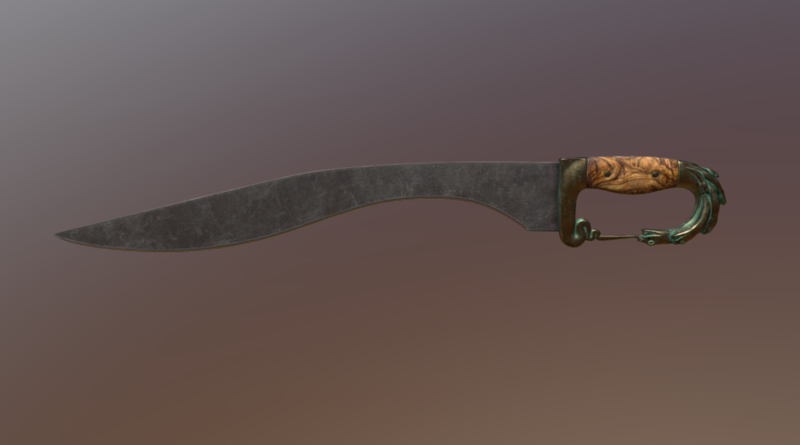 This is the second model for the Epic Weapons Series, a sword inspired by the iron age Greek sword kopis, one of the most iconic swords of antiquity! In keeping with the sword’s origin, I created a design inspired by the hydra, one of the most famous mythical beasts of all times, one born from the Greek legends! 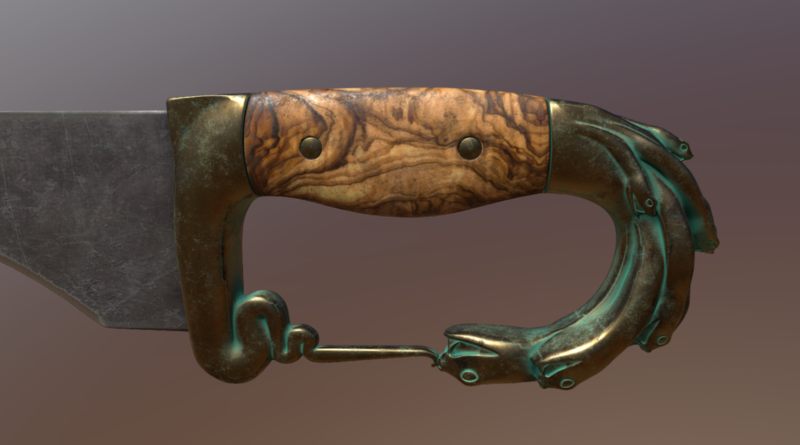 I also textured the wood of the handle as olive wood, a favourite in Greece. The hydra was an enourmous snake with nine heads, so poisonous that even its breath was lethal. When Heracles found the beast in the swamps near Lerna and tried to slay it, he discovered that it was even worse than it appeared: not only the central head was immortal, but each time he cut one of the other heads two grew to take its place! So Iolaus started cauterizing with fire the stumps every time that Heracles cut off a head, and in the end he placed a big rock on the immortal head to trap it forever. This is the Hydra Kopis! A closeup of the handle. This is a render with a plain white color, to give a better idea of how it could look just printed and assembled!